For one thing, sending back a dish often means that it goes straight in the garbage. This is especially true in the United States, where — even when an order is correct — wasting food is somehow completely normal. Restaurant patrons regularly take on enormous entrees far too large for the average person, eat maybe half of it, then decline a to-go box (akin to saying "Nah, you can just throw this perfectly good food in the trash") while smiling and commenting on what a good meal it was. For another thing, sending back a dish runs the risk of retribution from a disgruntled cook who takes it personally and adds a little complimentary "special sauce" to your corrected order. I only worked in the restaurant industry for about one year, but I saw this happen several times, and I heard about it many more times. So the way I see it, sending back a dish is not an option. The first few times this happened I simply ate around the meat, but after the tenth time or so, I started to question if even that was the right call. Though not as bad as tossing an entire meal in the trash, I'm still wasting food. 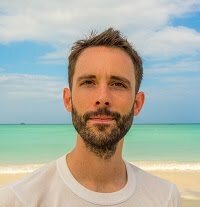 What's more, my three reasons for giving up meat (for the animals, for the environment, and for my own health) no longer seem relevant: the animal has already been killed, the environment has already been polluted, and eating a small portion of meat once or twice per year would have virtually no effect on my health. With my three reasons no longer relevant, I'm left with "the principle of it", but even that seems questionable. The total cost of this meat, in terms of animal suffering and environmental damage, is probably quite large. Should I let that all be for naught, and additionally heap one more negative outcome (food waste) on top of it all? Or should I concede to the only possible positive outcome (caloric sustenance) and just eat the damn thing? The most recent time this happened, I just ate the damn thing. And as I chewed on the flesh of what used to be my fellow living organism, I reflected on the inescapable reality that human existence — even for the strictest of vegans — is dependent upon the killing of other living organisms. It's just a matter of where to draw the line. At the far end of the spectrum of life, the decision feels easy. Fermented foods and drinks (kombucha, kimchi, miso, sauerkraut, etc.) contain an abundance of live microorganisms. Is it OK to kill them? To sentence them to the gruesome death of slow disintegration by stomach acid? I think I'm OK with that. Nudge the line a little bit closer to our side of the spectrum of life, and things get a bit more complicated, but the decision still feels fairly easy: I'm OK with killing a carrot by ripping it from the ground and then devouring it. But why is that? Is it because a carrot lacks a face, or a central nervous system? Is it because a carrot's life is comparatively so slow and motionless that it doesn't appear to be alive? Plants don't use words, but they do communicate with each other (through chemical signals, through underground fungal networks). In a manner of speaking, plants can "scream" — they send out a distress signal when under attack, and other plants react to that distress signal. Does that not count for anything? Nudge the line a bit closer still, and things get even more complicated. 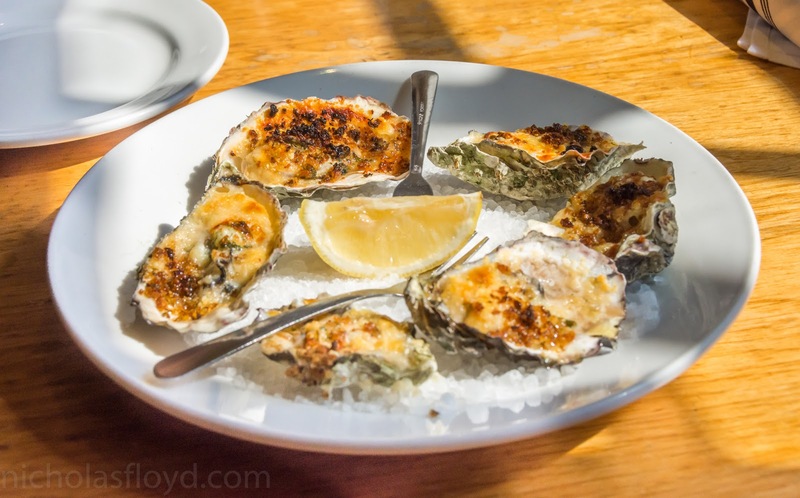 What about bivalves such as oysters and mussels? What about jellyfish and sea cucumbers? On the one hand, they have nerve nets and ganglia and whatnot, which kind of resemble a central nervous system. But that doesn't strike me as significantly different from plants, which also have mechanisms to perceive and react to their environment. And I'm much more impressed by the underground fungal internet of the plant world. So if I'm OK with eating plants, then surely I must be OK with eating less-impressive organisms like oysters. Right? This train of thought chugged along for a while until I finished chewing and swallowing my last few bites of animal flesh, at which point I reckoned that there is no right or wrong answer. We each have to draw the line for ourself, separating what we feel is OK to kill and not OK to kill. Where we draw that line is a personal decision — a highly subjective and somewhat arbitrary one, but as long as it falls somewhere near the middle, it's probably justifiable. I also reckoned that wherever one draws the line, it's best to leave room for exceptions, because it's easy to back oneself into a corner — and easy to lose sight of the bigger picture — while stubbornly defending an inflexible belief. I think what you’re wrestling with is not to eat or not to eat meat, to waste or not to waste food, but to judge or not to judge on the basis of principles which may or may not exist in any other context than what you perceive as right and wrong. Such an issue is a moral one and calls into question the culture, the circumstances, the law, and even religious bias, all of which are different depending what group you count yourself amongst. Ultimately, the universe, and in its comprehensible expression as planet earth, provides without judgment, bias, or conviction, and little matters on our cellular macro scale in comparison to the vastness we belong to. By divesting yourself of cultural, social, normative, and moral inventions of the geographic species you identify with you may attain freedom that is without judgment, without the duality of right or wrong, or correct. Those are simply human inventions some will and others will not abide by or even recognize as being important. If your dillema is rooted in concepts such as karma, or health, or doctrine, every decision will be tainted by the underlying concept. That doesn’t mean your confusion isn’t real, but only that it’s worthless at the same time, and the same can be said about you and me.